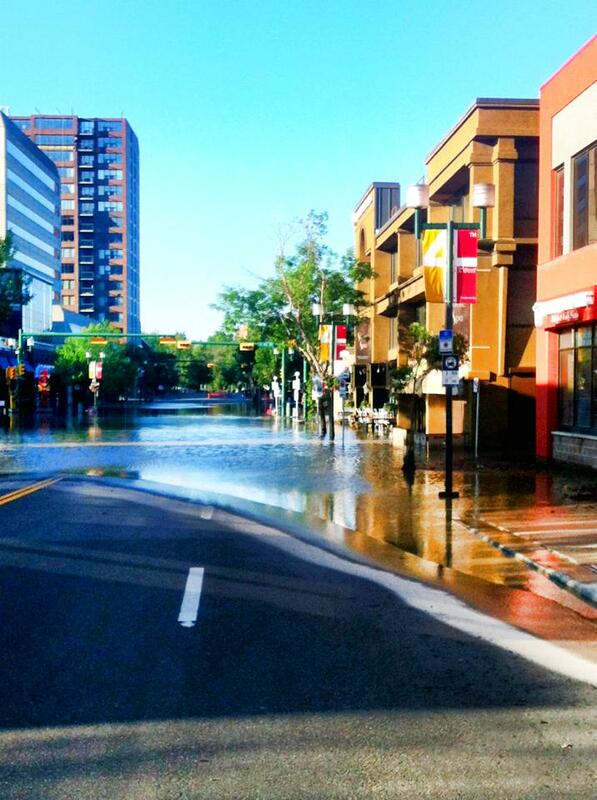 If you live in Alberta, or if you’ve been watching the news for Alberta, or if you’ve read my blog before, you will know that we just had a TERRIBLE disastrous flood here in Calgary (and many other places in Southern Alberta). 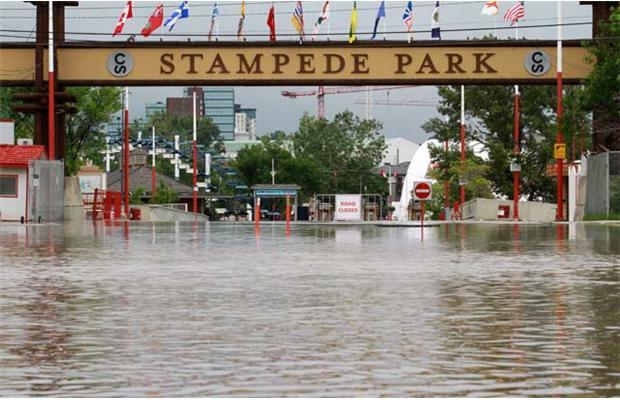 The area around the Calgary Stampede Grounds was hard hit, and we thought that the Stampede was going to be a No-Go. At least, on the first couple of days. But then, the sun came out, and the water started to recede, and the Mayor and the City officials said, “Nope- the Show must go on”.. Not only is it good financially for the City, but it’s also great for morale. And now, look at us! Stampede Sneak-a-peak is set for tomorrow night! ($8, July 4, 5pm to midnight). And the streets that were just flooded a few weeks ago are now hosting the Parade on Friday! 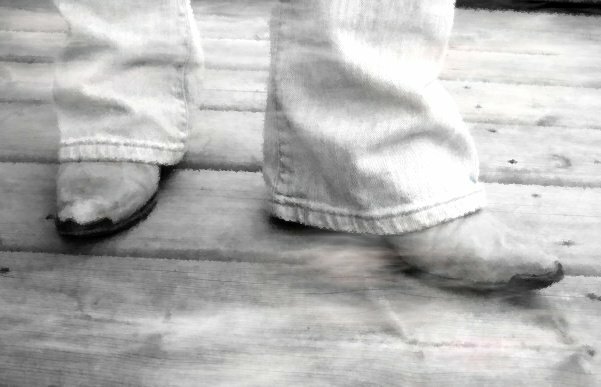 And, despite the warning, “Mamas, don’t let your babies grow up to be cowboys” (that’s Waylon Jenning’s and Willie Nelson’s advice to the general populace), off we rush to the Stampede! 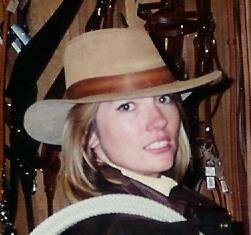 Calgary is (technically) a cowboy town, stemming back to “Once upon a time”, in the late (it seems) 1800’s. In fact, one of its nicknames (which some people hate and some love) is “Cowtown.” To celebrate that, there is a “parade” of Cow sculptures (all individually painted by various local artists), called Udderly Art, now on display at The Legacy Pasture, in the +15 walkway, north side of 9th Avenue, between 5th and 6th Street, S.W. Not everyone in town is a Cowboy/girl, but during Stampede everyone does find SOMETHING Stampede-y to wear. Even in the corporate downtown, suits and ties are replaced with jeans & boots. It’s a great time to be a local “sightseer”… sigh. To make up for it, though, there is the jeans and boots (have I mentioned that already? ), and free breakfasts of pancakes and sausages and coffee, and barbeques of burgers and pulled-pork sandwiches, all over the city! People are less rushed – more “moseying” around, tipping their hats, waiting patiently in lines, hooting it up here and there! And then, there’s the Stampede itself! 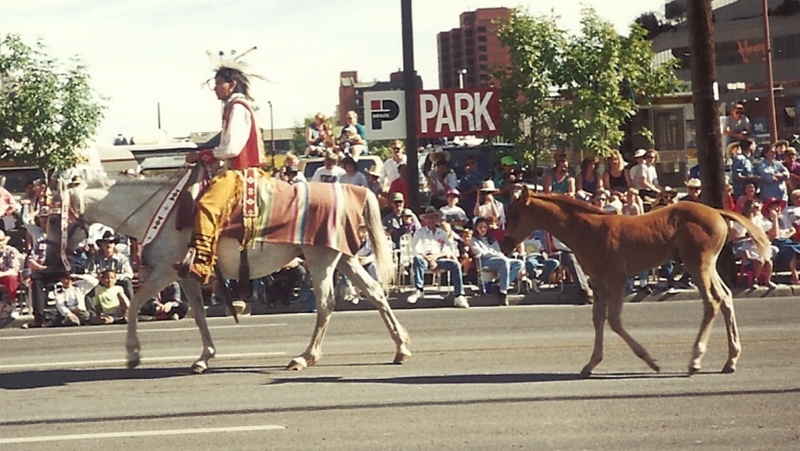 The Stampede is more than just a rodeo and agriculture fair. It IS the biggest outdoor show on the planet – last year’s attendance was over 1.4 million…GOODNESS!) 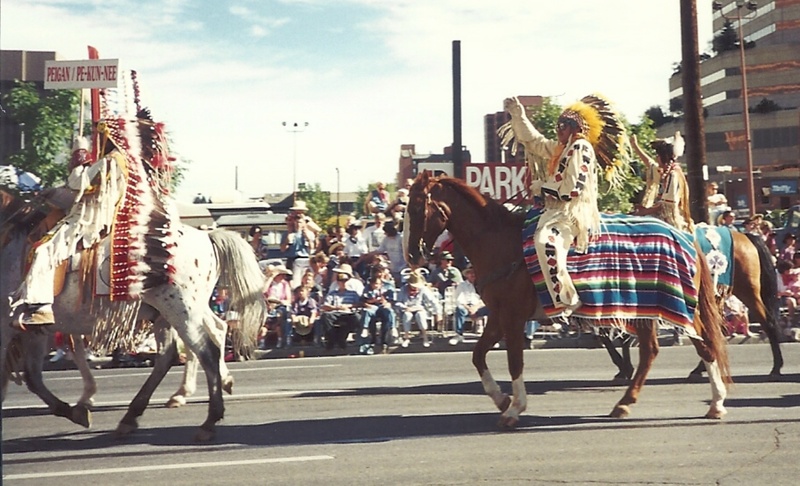 – it also includes a LOT of music venues, beer gardens, Mid-way rides, fair-food (you have GOT to have “Those Little Donuts”), art shows, an Indian Village and the Hoop Dances…oh! 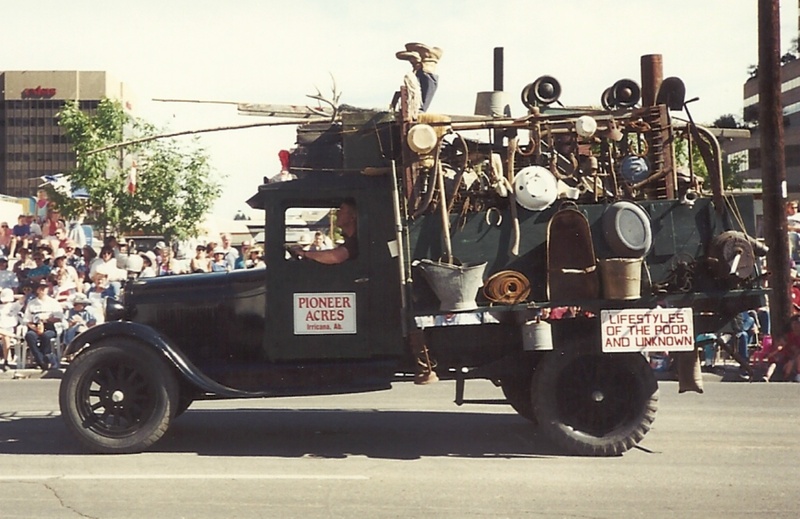 and the Chuckwagon Races & Grandstand Show. 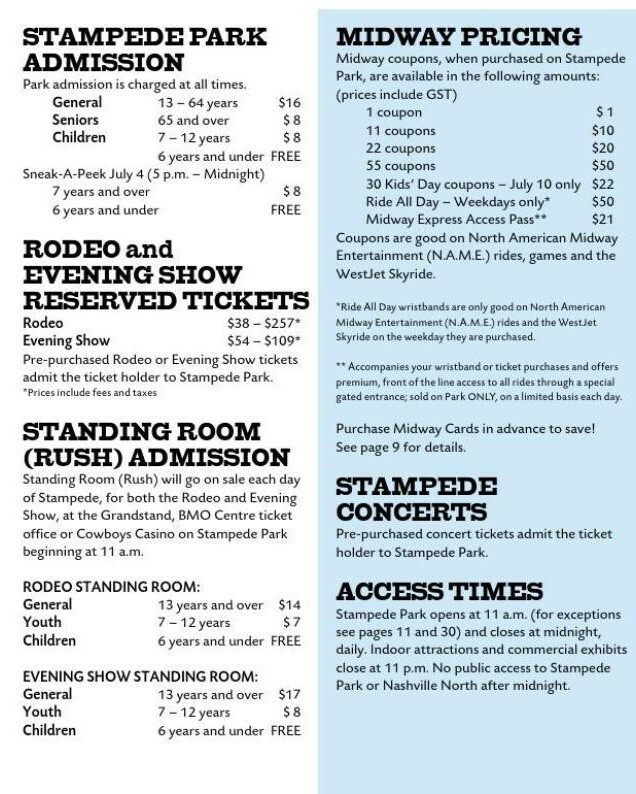 You can go year after year and never go to the actual rodeo. My favorite thing to watch is the aforementioned Hoop Dancing in the Indian Village. (Not sure about the “politically correctness” of this name, but that’s what it’s called.) 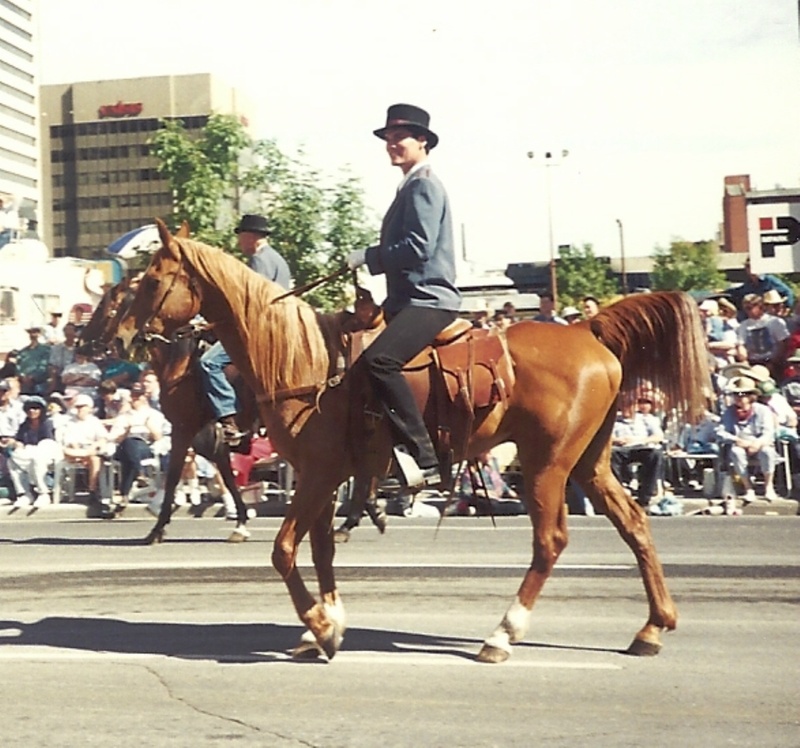 The website says it’s been a part of the Stampede since the Stampede started, in 1912. 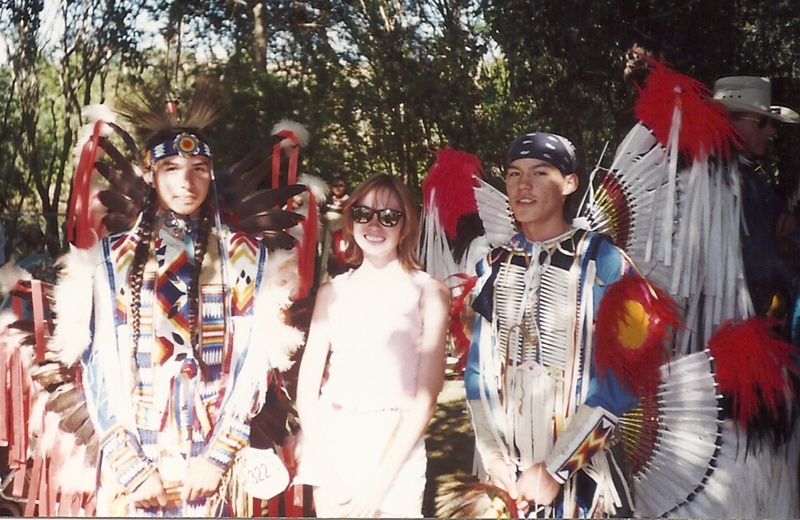 “It is a great way for visitors to experience the First Nations traditions and culture first hand”. 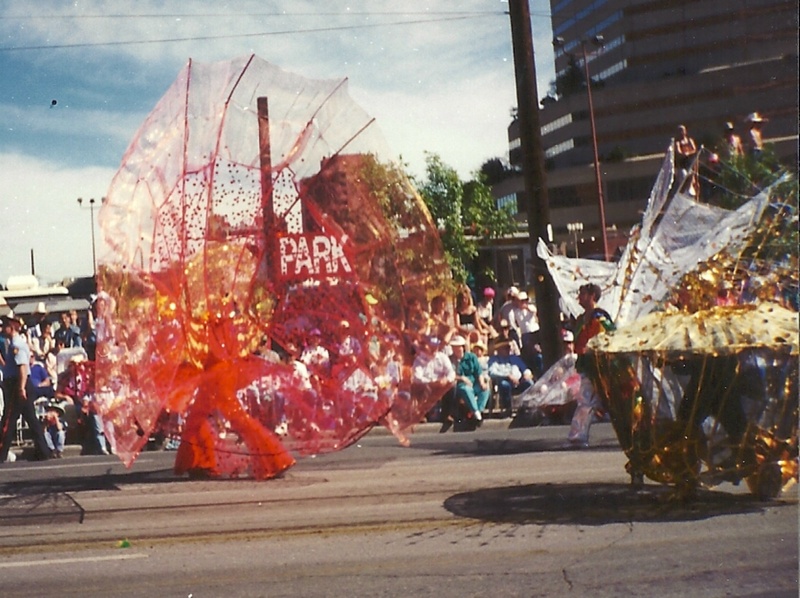 Another highlight is the Parade. 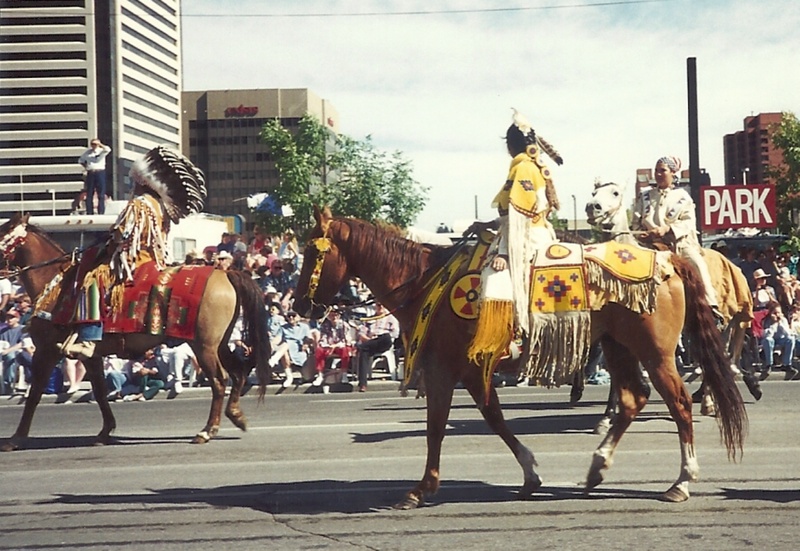 It will be on Friday, the 5th of July … Apparently, you can reserve a nice seat for the parade OR you can really appreciate the whole Stampede experience and show up with everyone else, 3 hours before the parade starts, and elbow your way to the front. 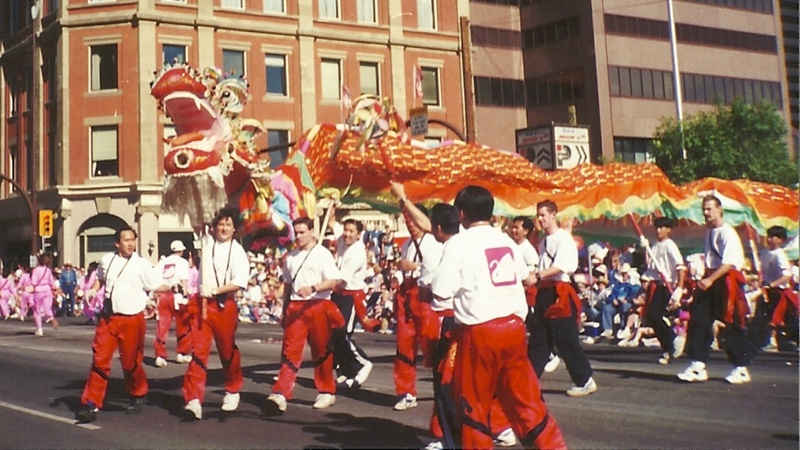 (Last year, an estimated 300,000 showed up to watch the parade.) I’ve only gone once, because I don’t want to be down at my spot at 7am, every year. This year’s Parade Marshall is Canadian Astronaut (the first Canadian astronaut to walk in space), Chris Hadfield. By the way, there’s a Calgary Stampede app for your cell phone – it includes GPS, so you can navigate the Park… so you won’t miss a thing. Oh goodness – so, I went to check out the app, and I found a second app that tells you where to find all the free Stampede Pancake Breakfasts in the city. The app is still set for 2012 (probably too soon for the upcoming 2013 Breakfast season), but last year, there were over 190 Breakfasts to choose from!! Don’t forget to stay awake for the nightly fireworks show over the Stampede Grounds (following the Grandstand show)! 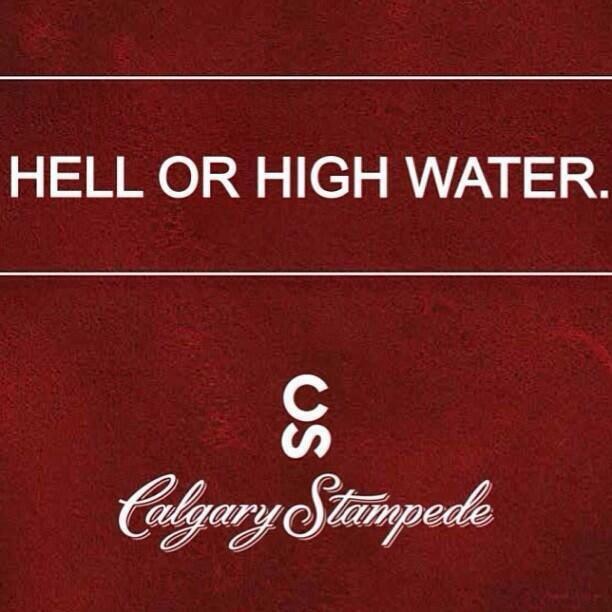 That’s Stampede 101. Come on down and enjoy the show!